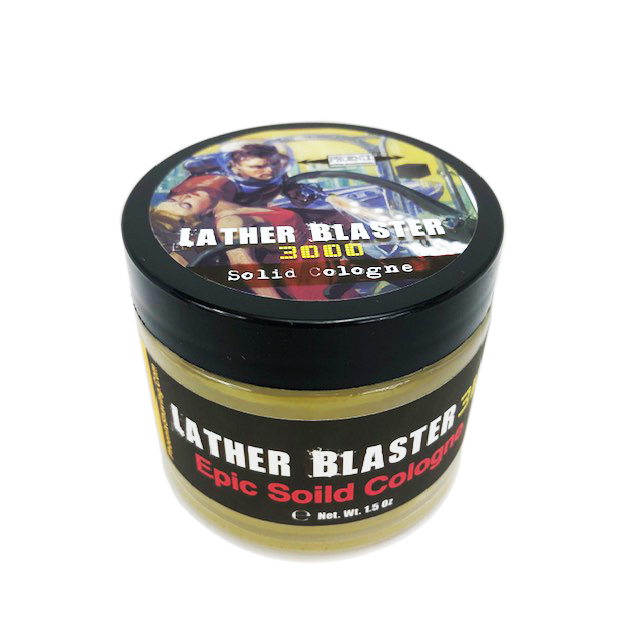 With the overwhelming popularity of our latest exploration of solid colognes, we'd thought we'd give it another go with Lather Blaster 3000.
Who knew you could read books? Ha, all kidding aside I have been on the "not for me" side of the fence but after reading your post I believe I'll have to give it a go as traveling with liquid is fraught with danger. A bottle broke on my last trip home and I smelled my bag coming up the chute. Imagine had that been at the beginning? (Just can't understand how those gentle giants at Delta could have possibly broken something.). (03-29-2019, 07:48 PM)Lipripper660 Wrote: Who knew you could read books? Ha, all kidding aside I have been on the "not for me" side of the fence but after reading your post I believe I'll have to give it a go as traveling with liquid is fraught with danger. A bottle broke on my last trip home and I smelled my bag coming up the chute. Imagine had that been at the beginning? (Just can't understand how those gentle giants at Delta could have possibly broken something.). But it was CAD Man! That would be awesome! It's on deck for tomorrow. Lol, had it been a meet up I was going to and not a funeral I would not have panicked!